Guaranteeing a long life and minimal maintenance cost, the Power Distribution Control Panel, which we offer, ensures to deliver performances without any problems. We are counted amidst the most trustworthy Manufacturers and Suppliers of the Power Distribution Control Panel located in Faridabad (Haryana). 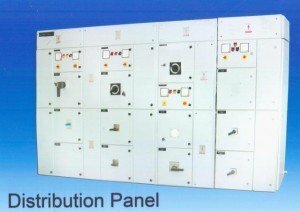 Our Power Distribution Control Panel is available at the most reasonable rates. Why Our Power Distribution Control Panel?